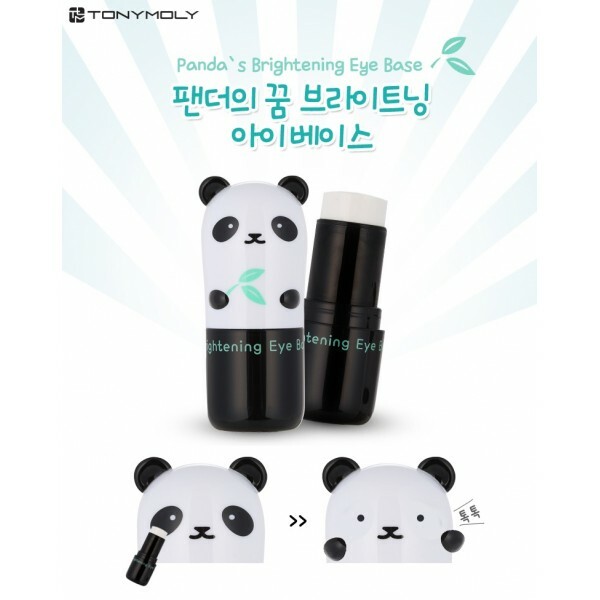 For this month, I get to try out Tonymoly Panda's Dream Brightening Eye Base! Cooling and soothing effect of intensive hydration to give a refreshment to easy to dry and irritated skin around eyes. Brightens and whitens the skin and give mild skin care. Eye sheet mask to improve dark and dull eye area. 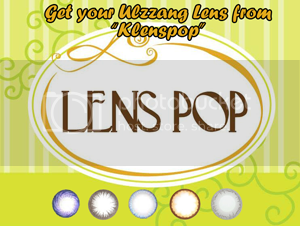 Contains whitening functional fomula such as Naiacin Amide, which help improve dark circles. 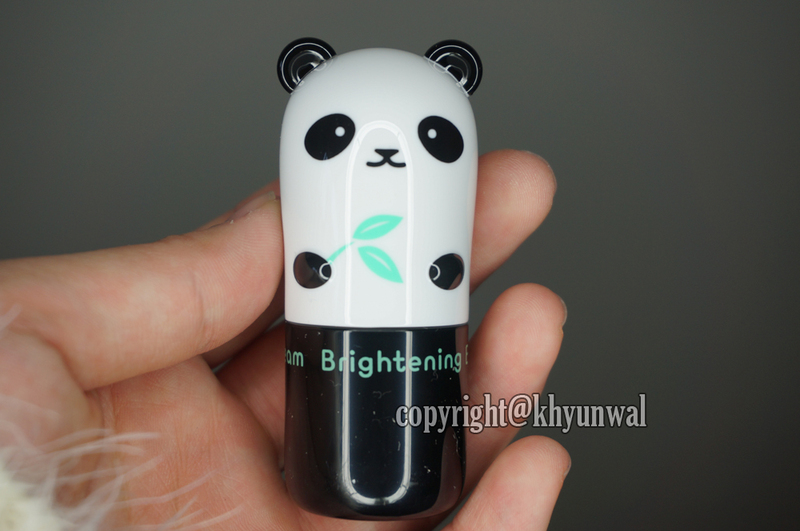 Panda's Dream Brightening Eye Base contains Haloxyl and Pearl extract which helps to whitens the eye area. Haloxyl is known ingredient which help reduce the leaked blood under the skin by using a series of natural enzymes that break down the blood and cause the dark circles to fade. 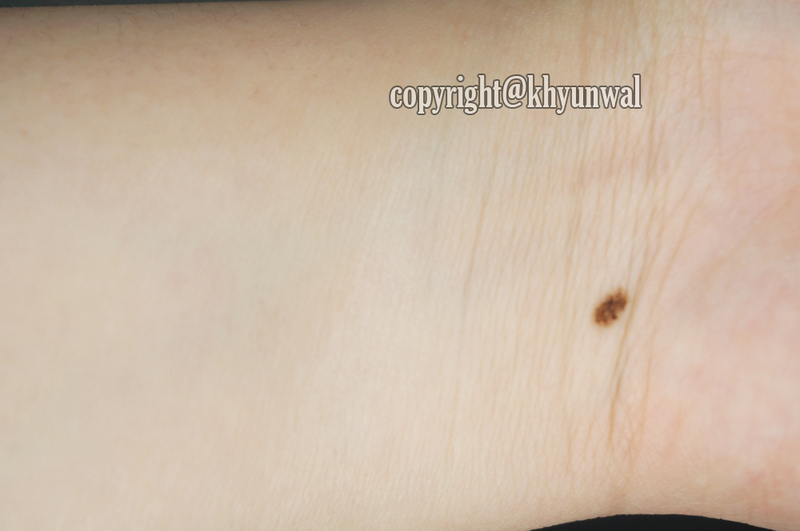 This is one of main ingredient for any dark circle removing skin care product. 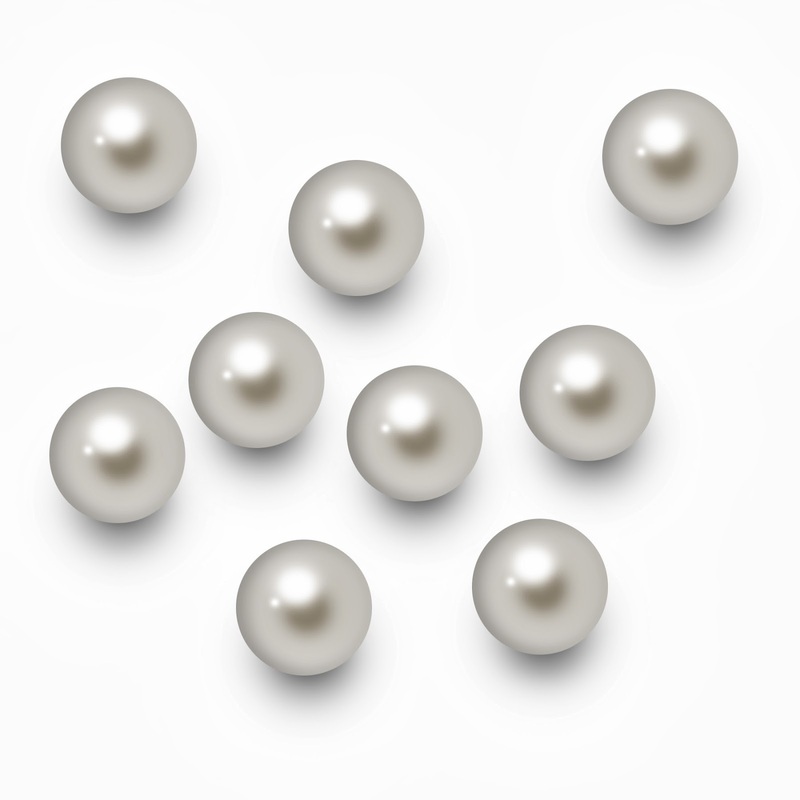 Pearl is used as a major beauty tonic because it helps to create lustrous, pure and beautiful skin. Pearl contains components which help to heal blemishes and maintain the health of the skin by helping in the metabolic activities of the skin. Also it promotes the regeneration of new cells and makes the skin smooth, fine, elastic, and naturally beautiful. 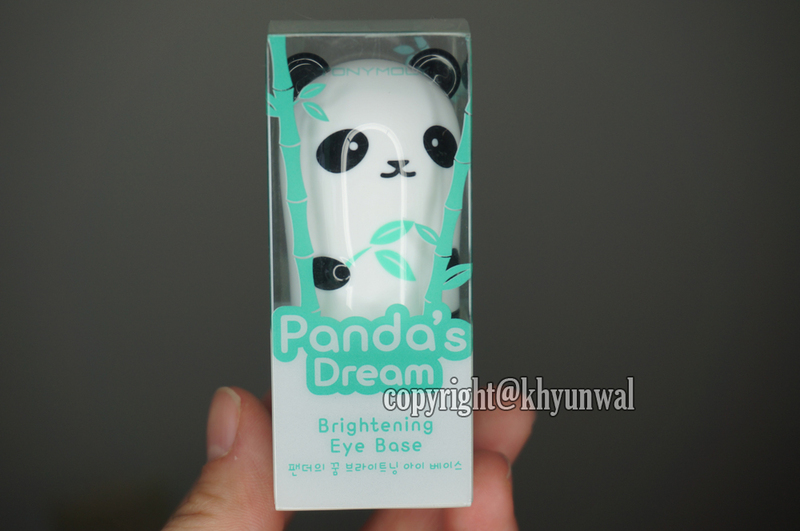 Panda's Dream Brightening Eye Base is extremely good for people who are dealing with dark circles. 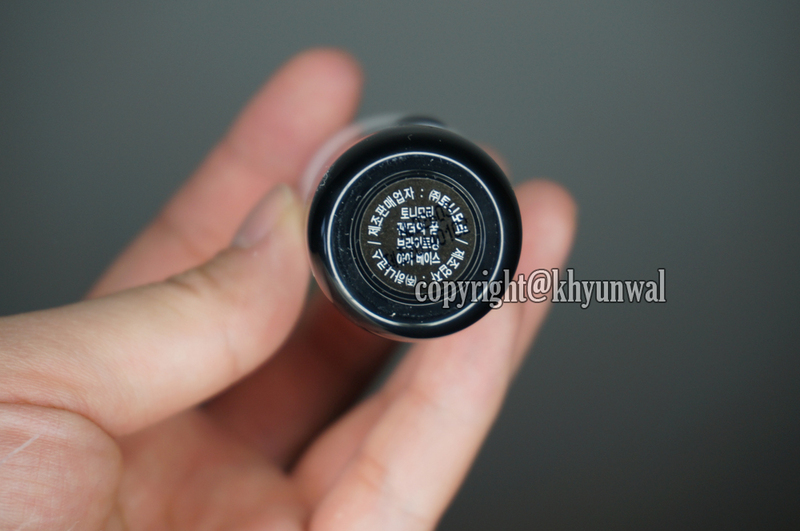 This is an eye base make-up which doesn't cause clumps and easy to store because of it's size. When you apply this product, it will instantly make your eye area white, which allows your eye make-up to show up more brighter and vivid. Sadly, they don't have descriptions of this product in English in the back. 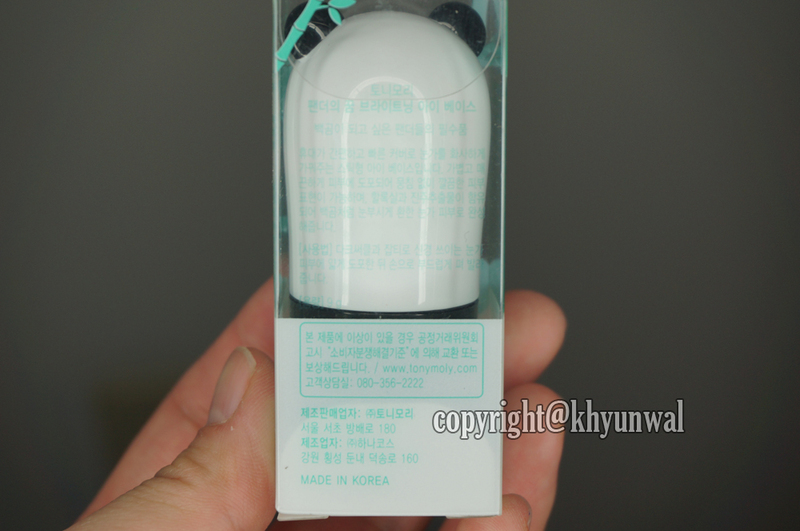 This is really nice small size product, which makes it easier for storing and carrying around. On the bottom, it has date it was made, but since int's in black font, it is really hard to see. 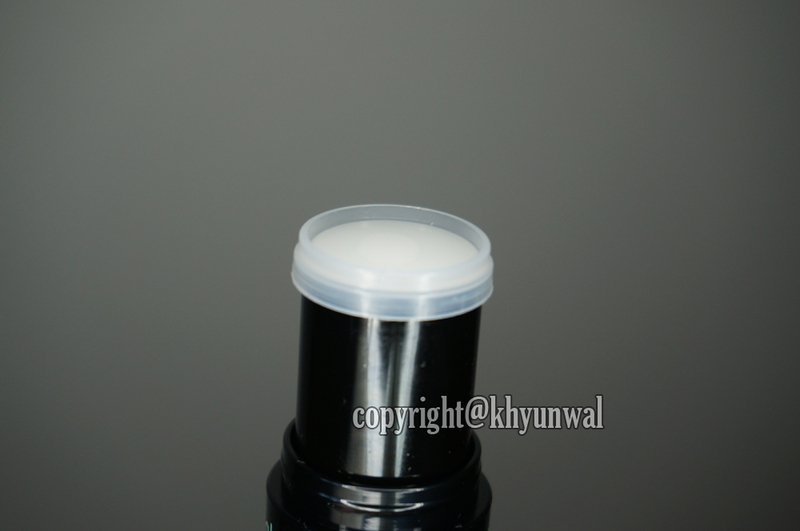 When you take off the Panda cap, you will see that there's another flat lid covering the product to prevent it from drying. So be sure to put the lid on after you use it every time. This product is pure white stick type product. Which makes it easy for application. 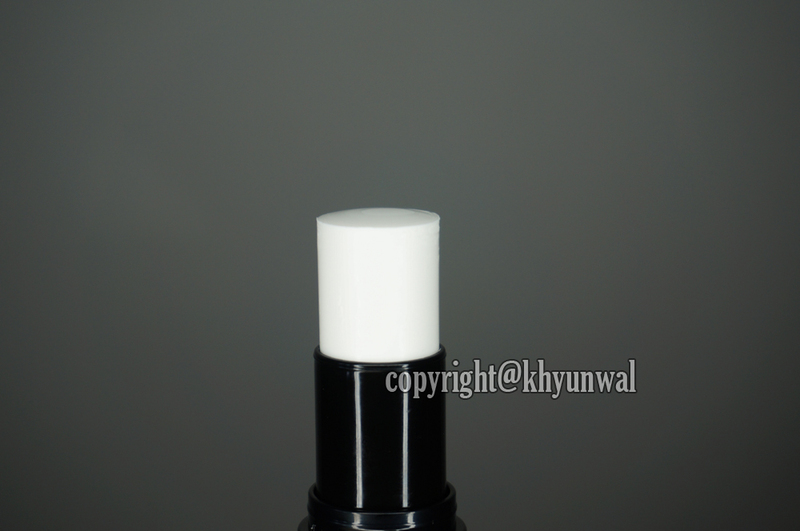 This product has matte finish and yet very smooth texture, which makes it easy to apply. To apply this product, you can either apply with the stick directly. Or you can use your finger to dab it on your eye area. 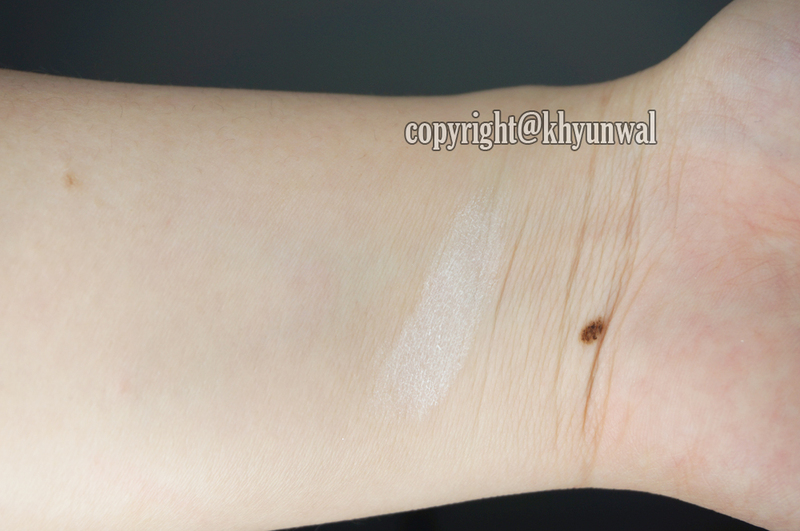 As you can see, in initial application, my skin became pure white. 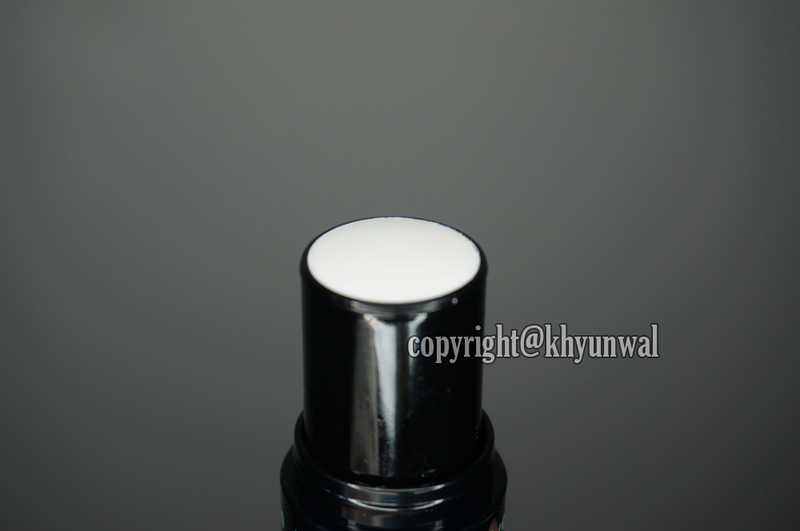 It almost make my skin to appear shimmery, but as I said this is matte finished product. I have blended it out to see how it looks, you can probably tell that the area where it's applied is whiter than the place where it hasn't been applied. 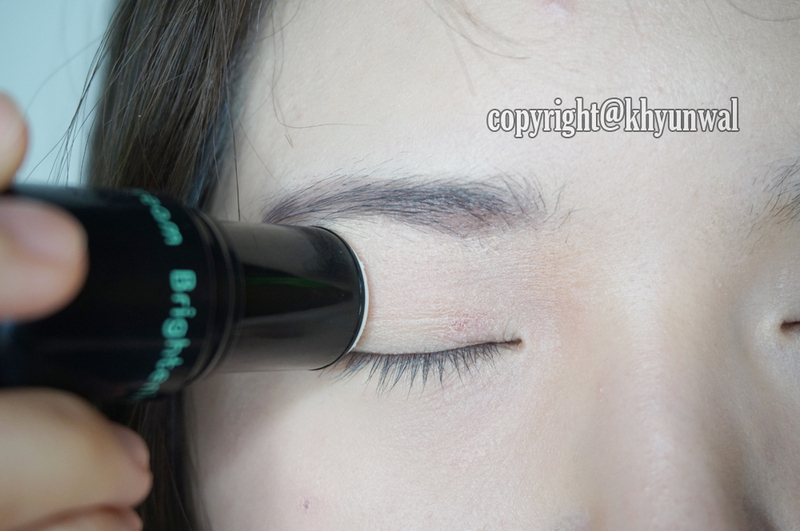 When you apply it, You can simply apply it on the desired area, and use your finger to blend out any harsh edges. Because it brightened up my eye area, this allows my eye make-up to show up better. For this eye make-up, I used shades of brown color, and brown gel eyeliner. Usually when I apply brown gel eyeliner, they don't show up as well as the black ones. 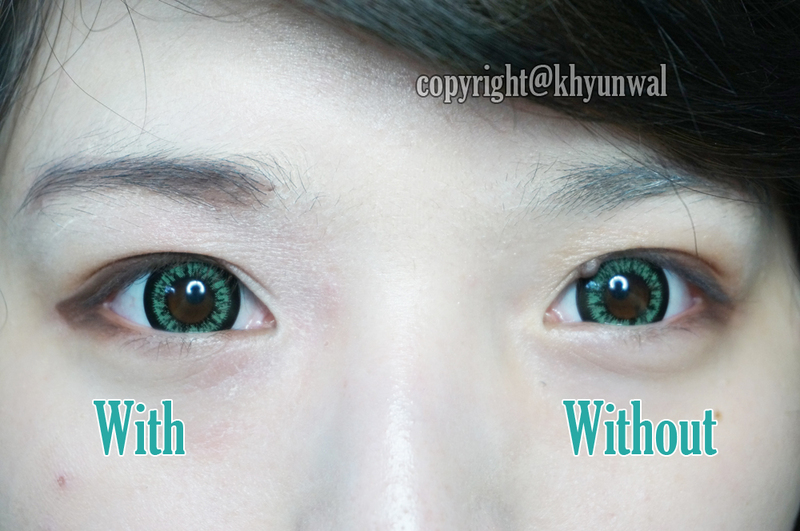 But after I used this eye base make-up, you can see how vivid the color is. This is comparison of when I applied the base and when I didn't. As you can see, when I did applied the base make-up, it seems more brighter and my eyeliner shows up better. On Without side, you can see my eye area appears to be little yellow than the With side. And you can't see my eyeliner as much. 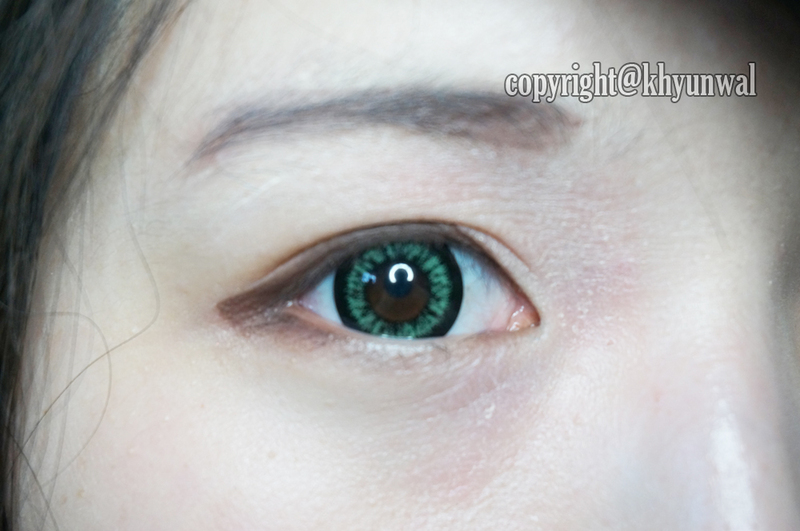 I have used other eye base make-up before, to help my eye make-up to be more vivid. But I never really got the results as I wanted. However, when I used this product I loved how my usually never been able to see eyeshadow and gel eyeliner shows up more brighter and better. Also I was able to get rid of any dark circles, whenever I have it. or simply need that extra boost to get rid of dark circles, this is the product you should try out! For any questions and concerns, feel free to leave a comment.